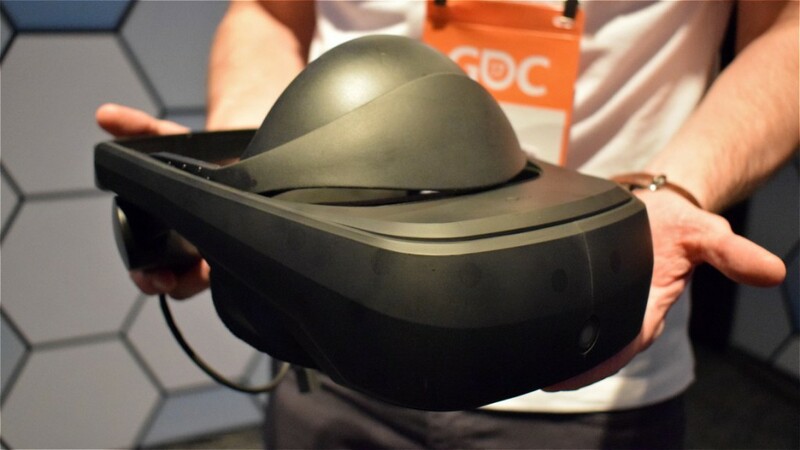 GDC 2017 ended, and even though we expected a bit more from it, especially from the gamers’ perspective, waiting for new game titles, we saw enough VR hardware to get excited about. HTC Vive showed us their new peripherals – add-on trackers and an integrated audio strap, each costing $99.99 and available for sale in the coming months, while NVidia showed off the GTX 1080 Ti – the most powerful video card right now, which automatically means it’s the best choice for VR. Still, we were looking for something more – headsets, to be exact. So here are the 3 headsets we were looking forward to see in this year’s GDC. We weren’t really sure what to expect here so in the end we got something Microsoft calls a mixed-reality headset. We haven’t tested it yet but from what we saw and heard, the dev unit’s tracking works nicely, with just a few glitches here and there. The flip-up visor is a great addition as it makes switching through games and other kinds of VR content really easy and effortless – no need to take the whole thing off every time. Now this is something we would gladly use in other headsets as well. Yes, we already have a Steam VR headset in Vive but LG apparently has worked with Valve and showed off an early prototype of its new headset. 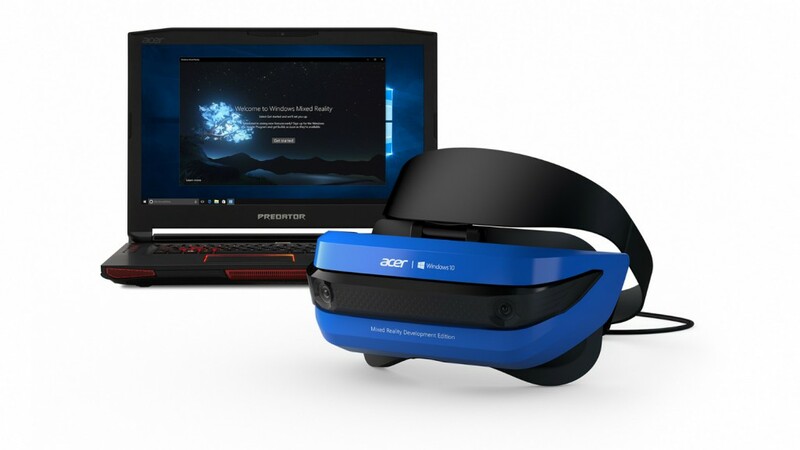 It doesn’t have a release date yet but it does have that one thing we saw in the Microsoft headset – a flip-up visor. It looks a lot like a bulkier Vive, though the back of headset reminds us of PSVR, and the front flips up so that you won’t have to take the whole headset off in order to switch between your games. The controllers are similar to the Vive’s, and we gotta say – we can’t wait for LG to give us some more news about this project as it might turn up even better than HTC Vive, especially with its incredible 110-degree field of view, 1440 x 1280 resolution per eye, and a refresh rate of 90Hz. Unfortunately, we don’t really expect it to be released this year. Even though it’s not exactly a NEW headset, it’s still… well, pretty much a new headset. 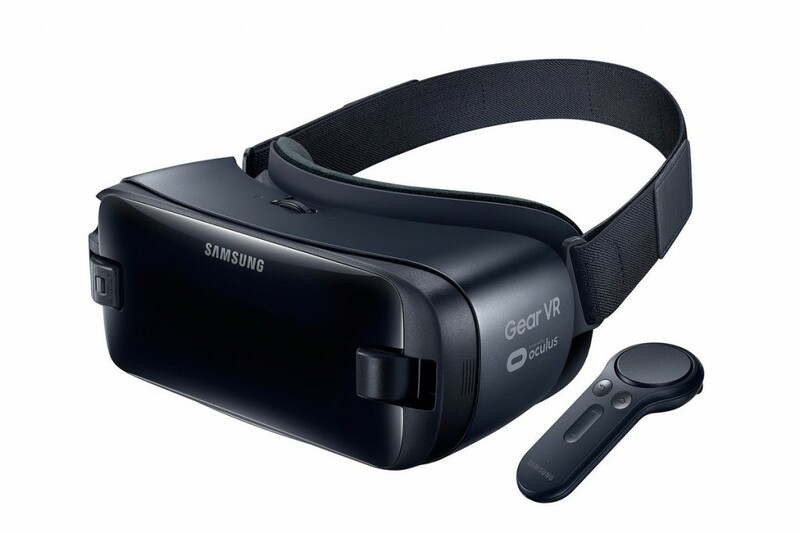 The first change you'll see is in the looks - the new Gear VR is now black. But the biggest change is the tiny new controller that comes with the headset! This new single hand input device looks a lot like the Daydream's and has 4 buttons and a trigger. Gear VR was seriously lacking a controller so this is a huge step forward for this particular headset. That's right, we don't even count the on-board touchpad of the previous Gear VR for a real controller. Who wants to play a game with his hand constantly up on his face? Now this has changed and over 70 games are in development for the new Gear VR. We could also conclude that the new headset will be compatible with the upcoming Galaxy S8 smartphone. Saw something else at GDC that excited you about the future of VR? Share your thoughts with us here on our Facebook page!